Brighten your day with this beautiful affirmation poster to pin up on your wall. Today’s Blue Monday, supposedly the most depressing day of the year, so we thought we’d brighten your day with a free print created by the talented Becki Clark. Repeating an affirmation each day can help to boost your mood and set the tone for your morning. 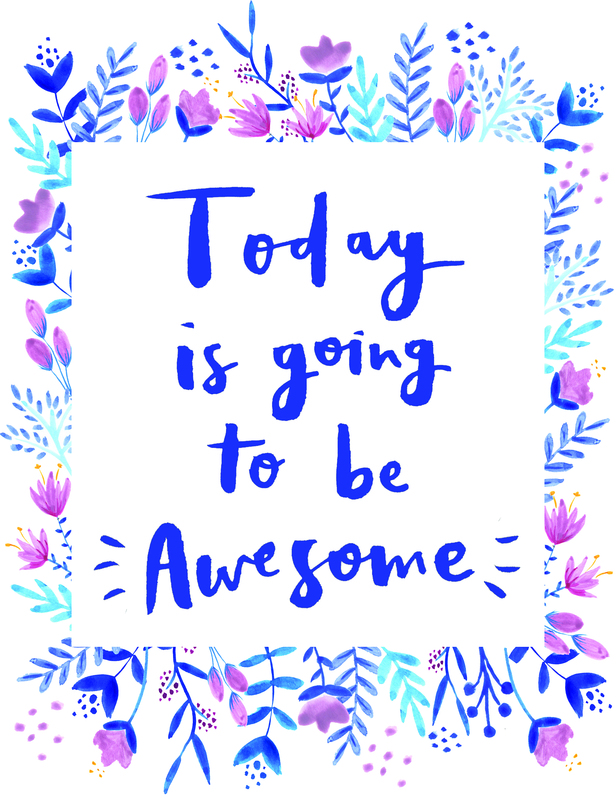 Get up and remind yourself that ‘Today is going to awesome’ and start the day as you mean to go on. Click on the link below to download your own beautiful poster. Download your free floral affirmation poster.